West Africa’s semi-arid regions are home to an incredibly rich history of cultures that have thrived despite highly demanding environmental conditions. Today, people living in these dryland areas face a suite of complex challenges. These are related to increasingly erratic rainfall, rising temperatures, droughts, poor soil fertility, and floods, combined with high population growth, gender inequalities, ineffective decentralisation of governance, and reliance on climate-dependent livelihoods. 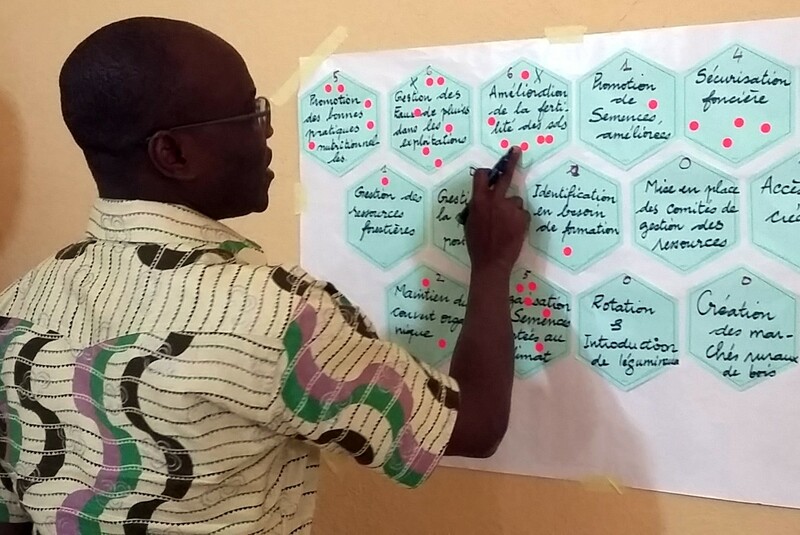 From 2014-2018, ASSAR’s Mali team worked in the Koutiala district, in the Sikasso region, to better understand how these interlinked challenges are impacting people’s capacity to adapt to current and future stressors. Our team was made up of researchers and practitioners from the International Crops Research Institute for the Semi-Arid Tropics (ICRISAT), Michigan State University (MSU), l’Association Malienne d'Éveil au Développement Durable (AMEDD), and master’s and PhD students from Mali-based universities. The Mali universities included Institut Supérieur de Formation à la Recherche Appliquée (ISFRA), Université des Sciences des Techniques et des Technologies de Bamako, Institut Polytechnique Rural de Formation et de Recherche Appliquée, and Institut Universitaire de Développement Territorial et Local de Bamako. We worked with partners and stakeholders from national to household levels to understand differentiated vulnerabilities, identify barriers to adaptation, and explore what needs to happen to support more effective, sustained, and widespread adaptation, including intensification of agriculture. New ways of conducting climate change research jointly with a wide range of stakeholders are needed. Nuanced information, including that on gender and social difference, should inform understandings on how different people, even within the same household, make decisions, and how policies might affect their ability to adapt in times of stress. Building continuous communication and flexible design into policy and governance systems that encompass all involved stakeholders and scales is crucial. This helps to avoid disconnects between national-level policies and local-level needs, and also helps decentralised governance structures become more transparent and effective. Alternatives to migration should be explored as adaptation strategies in order to avoid potential risks to the health and wellbeing of migrants and those who stay at home. It is essential to recognise the ways in which climatic and non-climatic stressors interplay to create new adaptation challenges and address/include these in policy. It is essential to recognise the ways in which climatic and non-climatic stressors interplay to create new adaptation challenges and address/include these in policy. 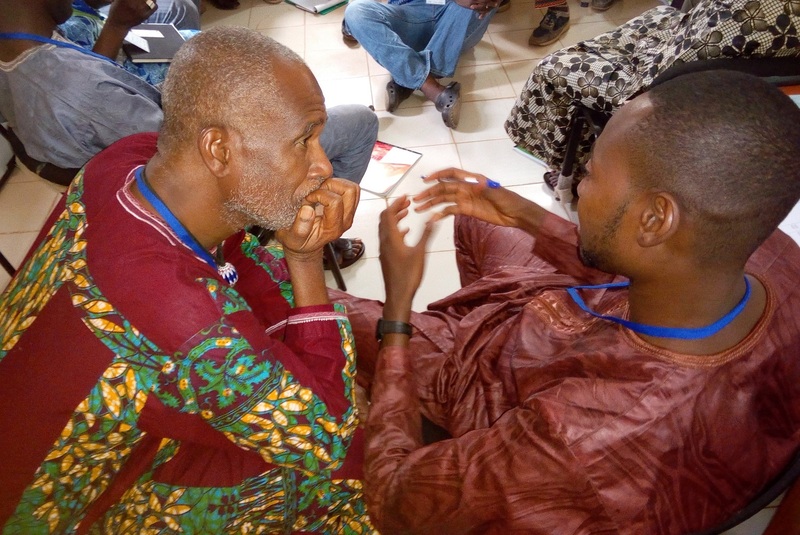 Participatory processes such as Transformative Scenario Planning are valuable tools for identifying and prioritising issues, building relationships, and fostering learning. These processes should be built into broader stakeholder engagement strategies in order to stimulate meaningful changes. Alare, R. S. and Segnon, A. In prep. 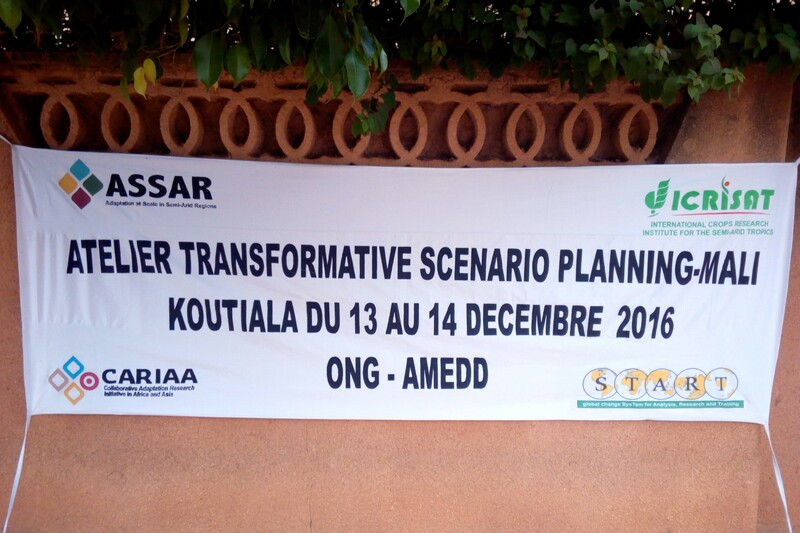 Landscape transformational analysis in semi-arid areas: Case study of Ghana and Mali. ASSAR. 2015. ASSARWA Pilot Radio Podcast in Mali. [Podcast]. Adaptation at Scale in Semi-Arid Regions (ASSAR). Link. ASSAR. 2015. How can climate change adaptation in the semi-arid regions of West Africa be more effective and widespread? Evidence from Ghana and Mali. [Information brief]. Adaptation at Scale in Semi-Arid Regions (ASSAR). Link. ASSAR. 2015. Planning for climate change in the dryland areas of West Africa. [Information brief]. Adaptation at Scale in Semi-Arid Regions (ASSAR). Link. ASSAR. 2015. West Africa regional diagnostic study: Report summary. [Information brief]. Adaptation at Scale in Semi-Arid Regions (ASSAR). Link. ASSAR. 2019. What global warming of 1.5°C and higher means for Mali. [Information brief]. Adaptation at Scale in Semi-Arid Regions (ASSAR). Link to brief. Link to infographic. ASSAR. 2019. Parcours du projet d'adaptation au changement climatique. [Video]. Adaptation at Scale in Semi-Arid Regions (ASSAR). Link. Lawson, E. T., Mensah, A., Gordon, C., Alare, R. S. and Ansah, P. 2016. West Africa research methods. [Poster]. Adaptation at Scale in Semi-Arid Regions (ASSAR). Link. Mensah, A., Lawson E. T., Alare, R. S. and Ansah, P. 2015. 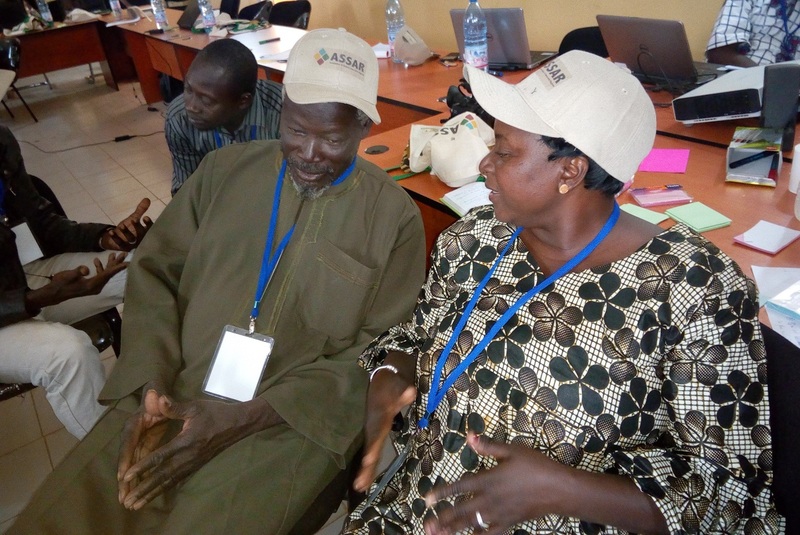 ASSAR West Africa Research into Use training workshop: Transformative Scenario Planning, stakeholder mapping and analysis, and Vulnerability & Risks Assessment. Adaptation at Scale in Semi-Arid Regions (ASSAR). Link. Padgham, J., Abubakari, A., Ayivor, J., Dietrich, K., Fosu-Mensah, B., Gordon, C., Habtezion, S., Lawson, E., Mensah, A., Nukpezah, D., Ofori, B., Piltz, S., Sidibe, A., Sissoko, M., Totin, E. and Traoré, S. 2015. Vulnerability and adaptation to climate change in the semi-arid regions of West Africa. CARIAA-ASSAR Working Paper. Adaptation at Scale in Semi-Arid Regions (ASSAR). Link. Segnon, A. C., Totin, E., Zougmore, R. B., Achigan-Dako, E. G., Lokossou, J., Ofori, B. D., Gordon, C. In prep. Assessing household vulnerability in semi-arid areas of Mali: A multidimensional approach.